“Ives Maes. The Future of Yesterday”, book cover. 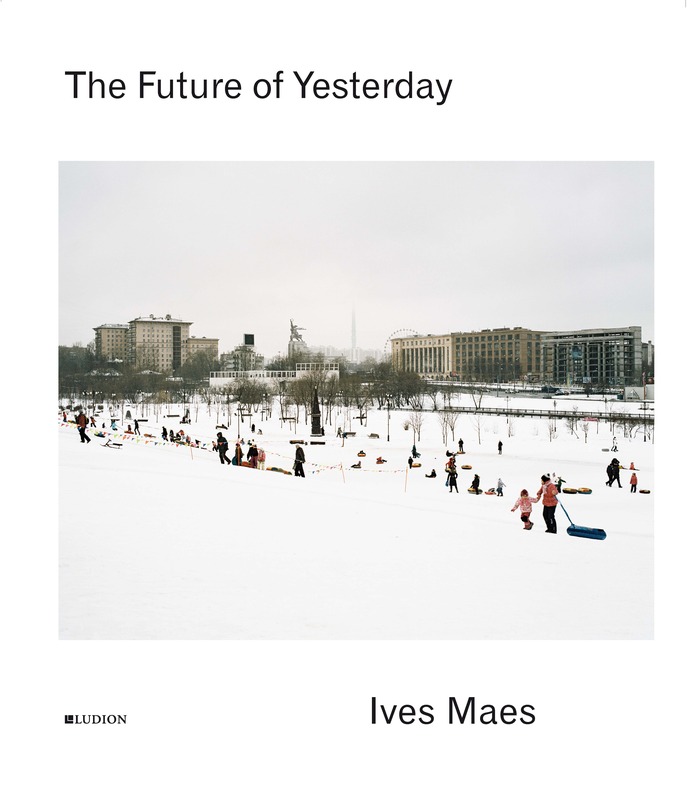 Last weekend the book “The Future of Yesterday”, an account of an artistic project by Belgian Ives Maes (born 1976, Hasselt), was presented at Ghent’s city museum STAM. “The Future of Yesterday” was started by Maes around four years ago as an extensive registration of former World Fair sites. Since the ambitiously titled Great Exhibition of the Works of Industry of All Nations of 1851 in London’s Hyde Park, several of these world exhibitions have been organised whereby a distinction is made between major and minor fairs. Their purpose has always been to show human progress mainly understood as technological and cultural advancement embedded in a consciously utopian as well as nationalist framework. Although large studies about a number of individual World Fairs have been published, hardly ever has the task been taken up to publish an all-encompassing overview of this phenomenon. Thus Maes’s enterprise is of real value as such, though it is obvious that this is an artistic research project rather than a scholarly one. 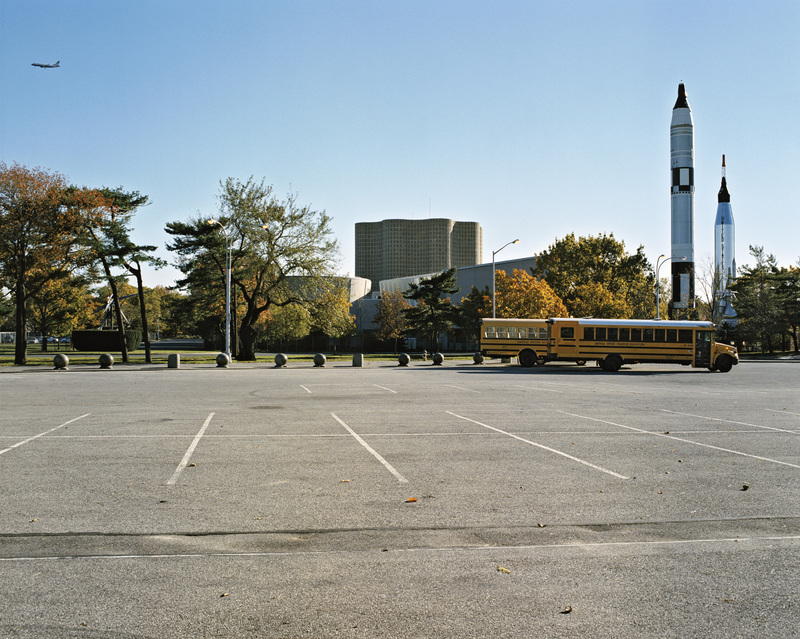 Over a long period of time the artist has visited numerous sites where once a World Fair had been taken place and photographed these places. Other photos he took are from pavilions that were replaced to another location after the actual fair. In almost all cases, the images lack the joyous, hopeful and enthusiastic atmosphere that normally radiates from postcards and such of these grand exhibitions. Also, Maes has depicted his subject matter invariably in its broader context, including their present surroundings, often in relatively gloomy weather. But what is most striking is the detachment of the photographer from its subject. All this could be directly experienced by the attendants of the presentation: STAM had a show running with a selection of Maes’s photo series and it was the exposition’s last weekend. Notably, several shots were shown in a concave frame, either attached on a wall or freestanding on the tiled floor. A few had frames that were made of cardboard, driftwood or refuse. These artistic gestures clearly emphasise the fact that Maes is not primarily a photographer but an artist who is trained as sculptor. However, it was a well-known painter who gave a speech about Maes that afternoon, namely Luc Tuymans. For years, Ives Maes worked as Tuymans’s assistant and has accompanied him on his travels abroad. This enabled him to make excursions in relation to his own work and in this sense Tuymans plays a role in this project. Moreover, the Belgian painter features in an earlier picture in the series, dressed as a Jedi (not included in the book since it was part of a transitional body of work which combined locations of World Fairs with sci-fi characters). After the introduction of Peter Ruyffelaere who spoke on behalf of the publishing company Ludion, Tuymans correctly pointed out in his talk, amongst other issues, that though different in outlook, “The Future of Yesterday” shares major themes with Maes’s previous large project, the “Recyclable Refugee Camp” (2004-2008; see for instance here and here). For both undertakings deal with humankind’s unrelenting hope for a better future and the ability to pertinently shape that future. Furthermore they both reveal the hubris and the eventual failure this entails which Maes easily dares to highlight in a boldly ironic, even sarcastic manner. Equally they take as a formal starting point an enclosed space – a camp and a temporary pseudo-village – where the architecture is rigidly defined and hyperfunctional. After Tuymans’s address there was a conversation between the artist and Chantal Pattyn, head of Klara, a national radio station focused on culture. It was an illuminating chat about the origin of the project and the intensive research and labour it had required as well as about the history of World’s Fairs themselves. For instance, one remarkable fact that was brought up in the conversation between Pattyn and the artist was of a technical nature: Maes again made clear he always started to create art from a sculptural point of view and declared he wasn’t the best photographer. It surely is a quite humble statement since all pictures in this series, taken with an analogue camera, are of a high quality in composition as well as in technicality. Furthermore, Maes stressed the temporary character of the pavilions that were built for the fairs, a feature that invariably led to their deconstruction afterwards and their possible reconstruction on another site. Complete structures, architectural elements and attributes are thus dispersed over Belgium, where more than a few World Exhibitions have been organised and of which Expo ’58 was the biggest and most influential (for that matter, the initiative for the exhibition at STAM was taken because of the hundredth anniversary of Ghent’s own World Expo). As an anecdote, Maes told the public about a big sport’s shop in Zonhoven, the village where he grew up, that he often visited as a kid to buy swimming pants – this shop apparently used to be a pavilion of Expo ’58 in Brussels which had later been transferred almost a hundred kilometres. And so after each fair some buildings were demolished, others were left to deteriorate and others were moved back to the country that ordered to build them or to another site in the state where the fair was held in order to thwart the temporality of these edifices. One of the most striking examples of relocation and the shift in not only taste but also in political program and inherent meaning over time is the story of the Russian pavilion that was erected in 1937 at the Paris fair. As is know and can be seen on pictures and postcards from that time, it stood right across the German pavilion on the other side of the Trocadéro. While the latter was a display of Nazi-symbolism with fitting grandeur and ornamentation, the creation of the U.S.S.R., equally monumental, was meant to act as a counterweight and it impressed above all thanks to the huge statue of two figures holding a hammer and a sickle on top. These two pavilions ultimately shared a prize at the fair for their respective architectural design. As for the impressive socialist sculpture, it was later placed in Moscow and remained on view there, even after the demise of the communist regime. But only a few years ago it got a new setting, namely on the roof of a building based on the 1937 original pavilion but much higher. While it seems highly questionable Albert Speer’s construction including the Nazi regime’s emblems would ever be built again on a highly visible square or lane, the Russians apparently do not see any harm in boasting about an obsolete world view they once adhered to, by means of this communist architectural and sculptural icon. All of these topics and more are of course further elaborated in the book itself. It includes three essays, each written from a specific viewpoint on the project; two of them are overtly historical in nature. Anna Jackson ruminates on the architecture, the industrial design and the technological gadgets that were on view at the most important World Exhibitions throughout the past. Evidently her essay starts with the mother of all Expos, the abovementioned edition in London (1851), dominated by Joseph Paxton’s Crystal Palace, a colossal prefab construction avant-la-lettre. It is clear that Jackson is well-informed about the subject; indeed, in 2008 she published a book about the history of the World Fairs. In addition she works as Keeper of the Asian Department at the Victoria and Albert Museum. Coincidentally (or not) this museum was established in 1852 in the wake of the fair and it was given the names of the British royal couple that incited the organisation of that Great Exhibition. Catherine L. Futter is a curator at the Nelson-Atkins Museum of Art in Kansas City, where she was responsible for Ives Maes’s solo show there in 2012. She too is familiar with the topic, especially with decorative arts shown at World Fairs. Here, Futter explores the relation between the history of the fairs and of the photographic medium. Both find their origin in mid-nineteenth century and both were supposed to reflect hope about the future. These parallels, along with interesting examples and cases are elaborated in her text. As it happens, next month the Getty Research Institute in L.A. organises an academic workshop about the promise of photography and how its history might be one of expectations. The title of this meeting is “Photography’s Past Futures”, a baffling happenstance. Lastly, Elena Filipovic, senior curator at the Wiels Contemporary Art Centre in Brussels and curator of the 2008 Berlin Biennial, discusses Maes’s “The Future of Yesterday” along the lines of these historical overviews and branches out from the concept of temporality. She defines the products of the artist’s efforts between 2008 and 2012 poignantly as afterimages and concludes accurately: “These images not only come after the effect, but they act – as do the ghostly images that sometimes remain in our retina immediately after an image has vanished – as signs revealing that the remains of a never-arrived future have something to say to us in the present”. “Ives Maes. The Future of Yesterday” is published by Ludion. ISBN: 978 94 6130 086 7.